What a grand splash of colour that red makes against that backdrop. I hope she had a thermos of coffee and a buttered roll. This pic also tells about simple pleasures: feeding ducks, enjoying a rest, looking at the wonderful landscape, running with dogs... so many ways to feel good! I have sat on that bench many times. 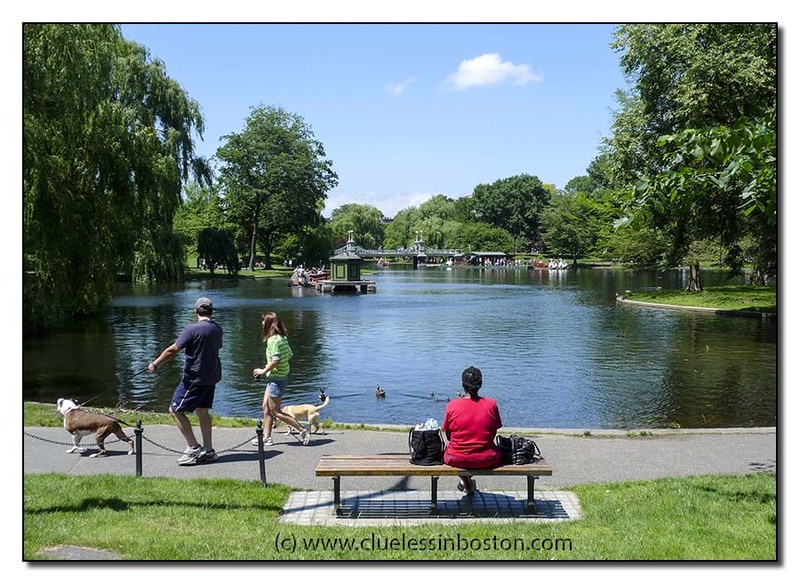 There are many things in Boston I love, but the Public Garden in spring and summer is very near the top. It's SUMMER! Enjoy the HEAT today.